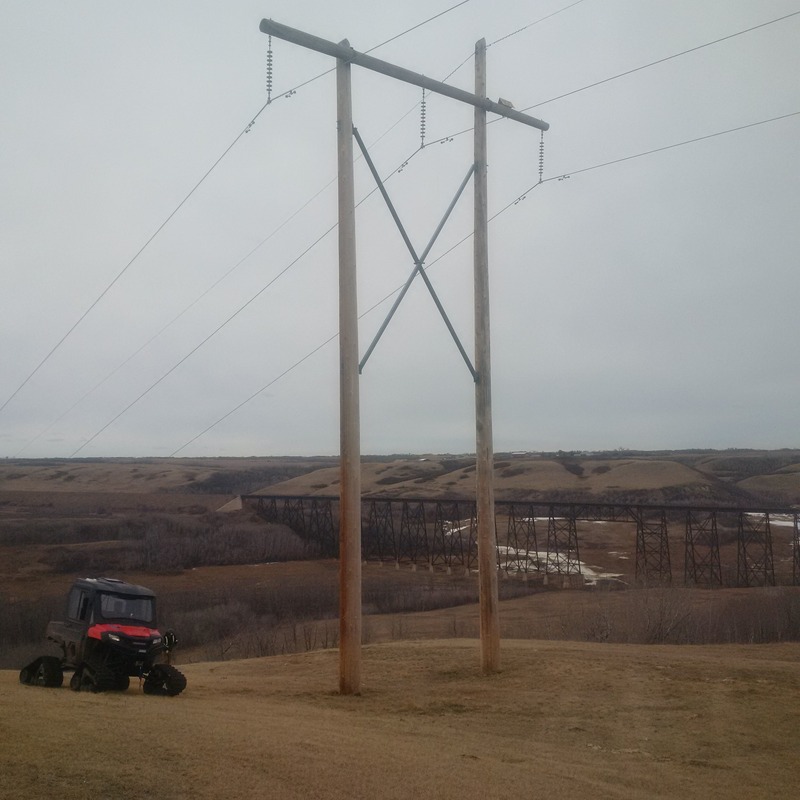 These patrols involve a quick visual inspection of each structure and the conductor and cables between them and the vegetation along the line. Ground patrols may be completed from the road with binoculars where it is possible to see the structures and correctly assess any vegetation concerns. As one of the main concerns of these patrols is specific to vegetation growth it must be completed between the time of the Fall Air Patrol of one year and the start of the growing season (Typically June 1) in the next. Typically, one to two people depending on location and time of year, the patrol is done by light truck, off road vehicle (quad), or snowmobile. 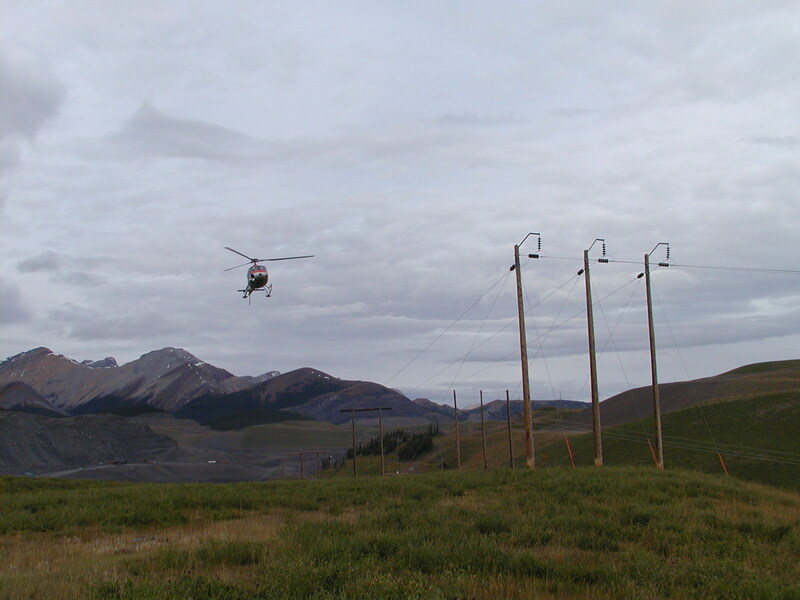 A helicopter is used to inspect the entire transmission power line system, both as a regulatory requirement and an efficient means to identify system deficiencies. Typically the patrols are conducted in early fall when leaves are still on the trees to facilitate seeing the conductor and assessing vegetation height. 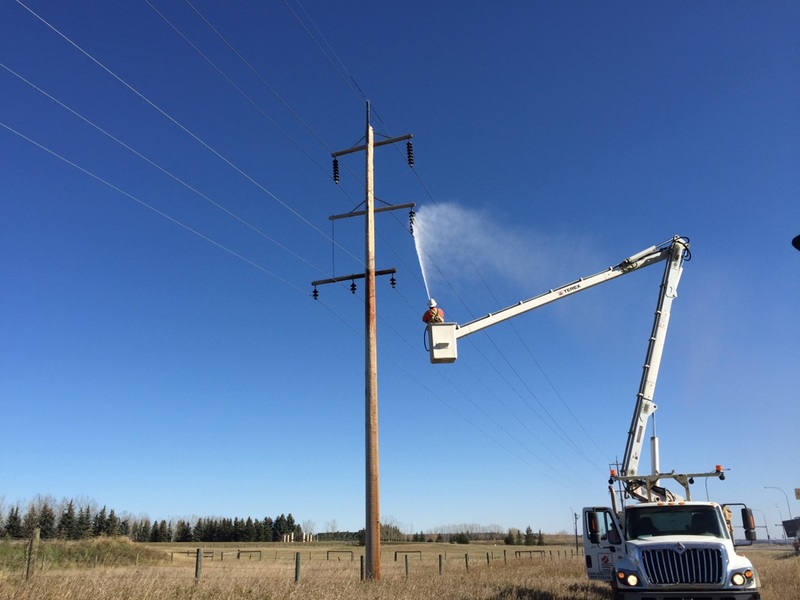 We will use a helicopter to wash contaminants, such as dirt and road salt, off insulators on energized transmission lines. When a transmission line is located too close to residences, ground crews will complete the washing. Distilled water will be used for the washing and there are no chemicals or cleaning agents added. This maintenance will not require the transmission lines to be taken out of service and residents should not notice any impact on their power. Where activities are required to take place on private property, we will contact you in advance to discuss the specific dates and times we will require access to your property. In order to keep the transmission system safe and reliable, we perform routine general maintenance. 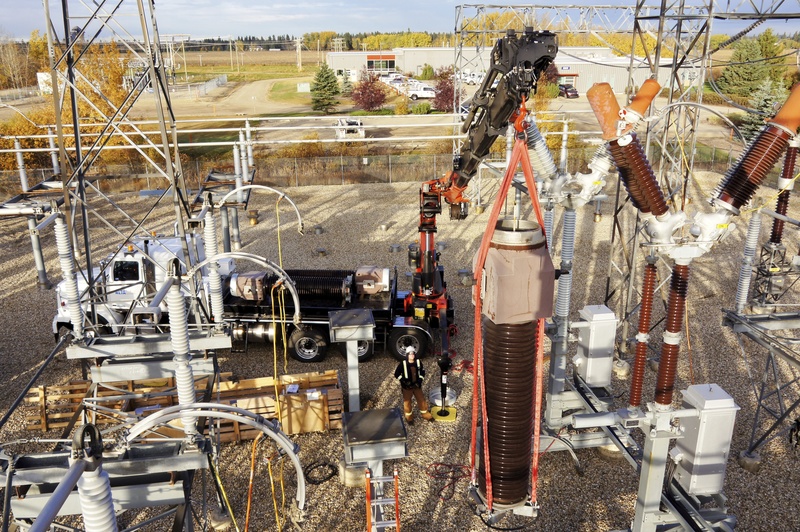 Some examples of this work would be cross-arm replacement, insulator replacement, pole replacement as well as work within our substations. As part of our Avian Protection Plan, we also install bird diverters on our transmission lines to reduce avian collisions. AltaLink uses an integrated approach to manage its rights-of-way. Throughout the life cycle of the right-of-way, different methods are used to provide the most effective long term vegetation control, with the objectives of being cost efficient, effective and environmentally responsible. Methods can include manual tree control, brush mowing, tree trimming and herbicide application. A detailed overview of our vegetation management plan can be found here. This inspection involves an internal and external evaluation of all wood pole structures. A small crew will perform the inspection and depending on location and time of year, the patrol is done by light truck, off road vehicle (quad), or snowmobile. 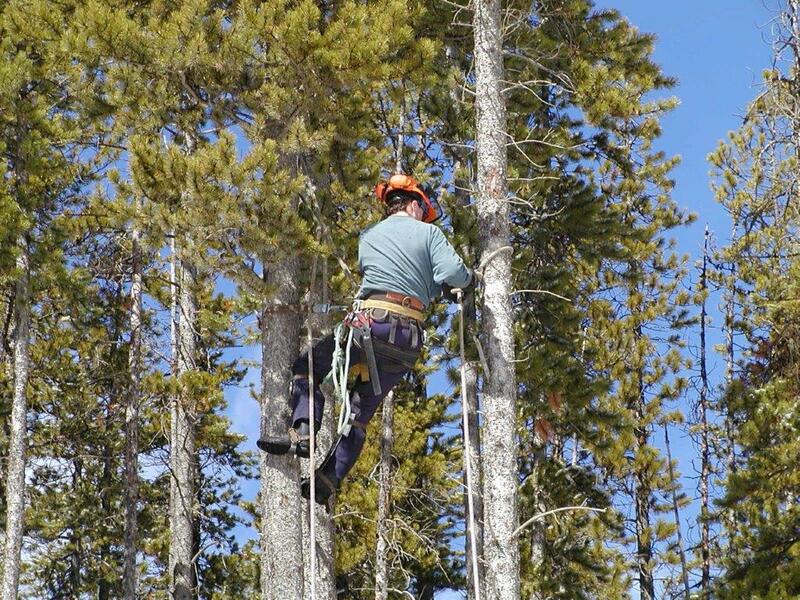 Typically the pole inspections are done spring to fall when the ground has thawed out. For those structures in wetlands the inspection will be done in the winter after freeze up.